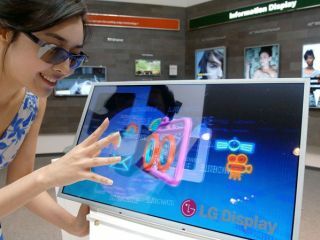 LG has taken conventional 3D technology and given it a bit of a spruce for its latest model range. The TFT-LCD panels have been blessed with something called 'enhanced brightness', which will smarten up even the dullest 3D image. LG has also tinkered under the bonnet to alter the way it uses the 3D technology, which should mean cheaper glasses will work with the sets. Instead of relying on special polarisation glasses, which flicker continuously, the company has embedded this technology straight into the monitor. While there's no word on price or date for the monitors – they've just been announced in Korea – you could do no worse than checking out LG's new online TV buying guide. Developed in conjunction with T3 and What Plasma & LCD TV, the guide tells you what you need to know before you decide to splash the cash on a new TV. Unfortunately, it doesn't quite give you enough ammunition to tell you partner why a 3D monitor is an absolute necessity in your house, but it will give you the power to baffle them with technology speak so that they don't care what you buy, as long as it shows EastEnders. You can find the online guide at http://uk.lge.com/ext/tvguide.